Lissa lived in France for quite some time and I am proud to say she picked up most of their delicious food taste and has since passed it on to me. 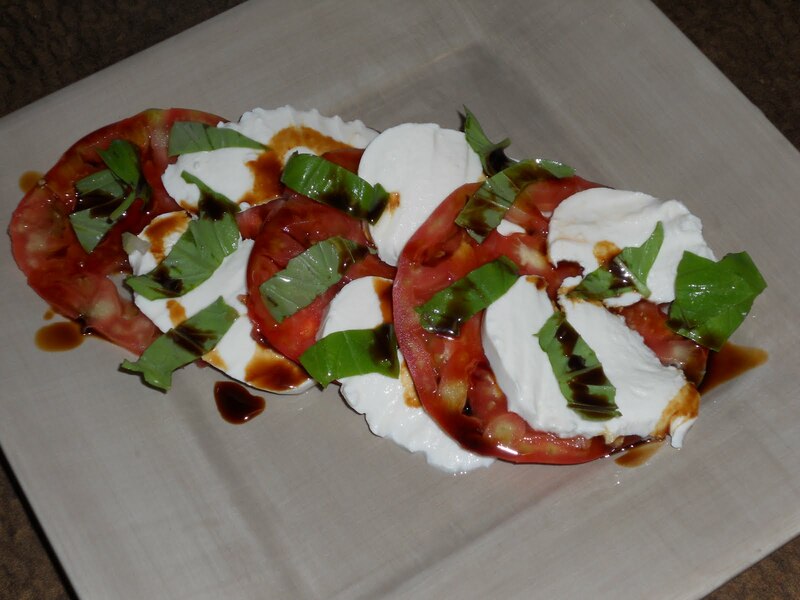 For a wonderfully fresh, healthy, delicious salad simply get 1 heirloom tomato, 1 small ball of REAL mozzarella, some fresh basil and some balsamic vinaigrette. Slice, layer and enjoy!